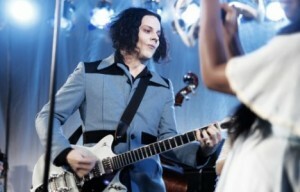 Jack White recently talked with the good folks over at NME about his new and first solo album, ‘Blunderbuss’ which is due out April 24th. He also talked about his former band ‘ The White Stripes’ during the interview. There was no good news about that fabled ‘White Stripes’ reunion or ever getting back together. I think we all already knew that about, but there was always hope. But now, I doubt there will ever be a reunion, unless several years down the road there is a Rock n Roll Hall of Fame concert on HBO or some big charity event. But even then, that’s pushing it. The ‘White Stripes’ gave us some amazing music and it will be listened to forever. But now, I’m very excited to get brand new music from Jack White and his future engagements. Pre Order ‘Blunderbuss’ straight from Third Man Records or get it over at Amazon. More Rare ‘Jack White’ Recordings Announced for Third Man Records Vault Subscription Service! This entry was posted on Friday, March 23rd, 2012 at 11:59 am	and is filed under Music, News. You can follow any responses to this entry through the RSS 2.0 feed. You can skip to the end and leave a response. Pinging is currently not allowed. « ‘Hangover III’ Will Be The Last!! !